Insurance $20 per day. Temporary Antigua Driving License $20 USD. 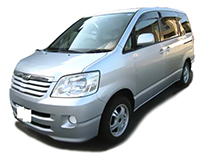 For your buisness or large group/family requirments a minivan can solve your needs while on business or vacation.